« What about Ezekiel 43 and 44? There is an old saying that goes, “The tools make the man”. In the work industry this is such a truism and really does help the worker excel at his endeavor. The same can be said of those who wish to excel in working in God’s vineyard today. Trying “to help others gain heaven” as Inspiration says (Review and Herald , March 9, 1905). With the advent of the exploding communications industry we have at our fingertips great access to many tools that can help us spread His final message of hope and salvation to our dying church. As we have shown in other reports, we as SDA, are in perilous condition and are about to be “sprued out” lest we –get down to business! One of the ways our Lord can see we are not lukewarm is by zealously using all the tools at our disposal to share His precious truth today. 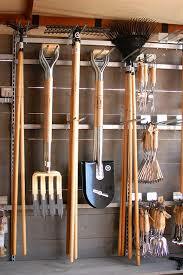 So let us look at some available tools to help in our trade today. For the serious student of the Lord’s last message of Elijah this is a must. 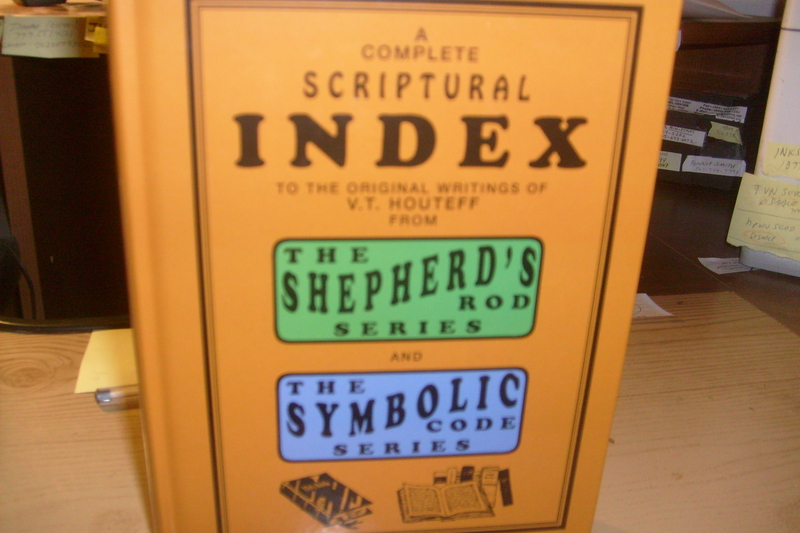 This hard back cover has Bible and SOP references in relations to the Shepherd’s Rod publications. Compiled by brother Don Adair, it was made in 1993 and is quite thorough. Sister Dara Dietz’ site is one of the easiest and thorough sites to get access to the complete writings. I personally use it often for the ease of use and organizational layout. A picture from sister Dara’s site in the photo album section. This is the original main building on Mt. Carmel, where brother Houteff’s main office and the publishing office (circa late 40’s)were located. He and his wife also made their living quarters there. There are many priceless photos of the original property in Texas. A couple years ago the Lord inspired me to get something up on Wikipedia so that all those who wanted a more authoritative article on the history of the Lord’s Elijah message could get it. I contacted a good brother of mine, brother Erik Bell and together we hammered out an all-encompassing article in a couple of months. This article gives much background on the movement, doctrine and writings. My main motivation to do this was upon reviewing Wiki and searching for an article on the original Davidan SDA and there was none! All they showed was a “Branch Davidians SDA”article which is a counterfeit to the Lord’s SRod message. This injustice and error had to be corrected and so it was. Very popular in views as it has about 1200 plus monthly views around the world. There are three blogs that yours truly contributes to and they all center around the Lord’s last message. The first one is the one you are reading now and needs no introduction. But please feel free to spread this if you are blessed by our weekly blog reports. The second one is our “Sighandcry777” site. What we did is put together a comprehensive blog site that has many diverse study resources. There are videos, reports, testimonials and updates on the message. The third one is our advanced Rod blog. We put reports out that are for the more advanced Elijah message student. The reason we did this is because our site here is formulated more for both SDA and DSDA (Davidian Seventh-day Adventist) whereas the Rod site is basically for DSDA. There are two large DSDA groups who have very helpful websites. They have all the original writings of the Rod and also Charts. One thing to note is that both sites have what is known as the “New” Symbolic Codes (historical news reports and studies). These are controversial as they are alleged to be some of brother Houteff’s writings but were not authorized from him to be published. So we suggest that if you go on these sites be aware of this in reading any of the “new codes” reports (those published after vol. 10, no.2). We did a post on this controversy which can be found in our HearyetheRod site. Make no mistake Facebook has taken off like a rocket! Nearly every family in the civilized world has a member on FB. This is no happenstance. The Lord has pulled out all stops in getting this message out by all means. I believe that not only FB but the advent of the computer was for the specific purpose of reaching those who can be reached this way, and rest assured many have! The Lord allowed these electronic mediums to come into existence for HIS purpose. In Sept of 2011 the Lord guided yours truly to start a FB group advocating the Elijah message. Another brother and myself started small with just 100 members but the word spread and now we have over ten times that and it’s still growing weekly. Our site is called “Truth Tellers”. We put out present truth studies twice a month and have member reports and links frequently. Because of this site , we have branched off and have Skype studies and phone conference studies as well. This medium has truly been a blessing and because the Mother SDA church has largely rejected the Lord’s last message of Elijah, it gives many around the world a welcoming site to join with others for fellowship. We are truly blessed to be a part of this online work! As mentioned above, FB has enabled us to come together from all around the world to join on Skype or the phone. we try to have a study once a month (approx.) and they are a real blessing. we share our experiences and we study a topic or two from the message. We are all about “present truth” and as such we grow in the knowledge of the Lord. Then press # once more and you’ll be able to listen to our last study. This last recording was about “end time timeline” and what the Lord’s timeline will be based on the Inspired word — Bible, SOP and Elijah message. For future Phone and Skype studies– please email us — palmguy@dc.rr.com. We hope that the above tools can be helpful in your work today in the Lord’s vineyard. We know that from the inception of our SDA church, we have been counseled to study, know and spread–present truth. “In every age there is a new development of truth, a message of God to the people of that generation. The old truths are all essential; new truth is not independent of the old, but an unfolding of it. It is only as the old truths are understood that we can comprehend the new. This entry was posted on February 6, 2016 at 4:12 am and is filed under Present Truth, Proper teachings, Witnessing. You can follow any responses to this entry through the RSS 2.0 feed. You can leave a response, or trackback from your own site. What rich blessings we have in these resources (“tools”). To help us get to Heaven.